The Licensing business of sports games "JFA Japan national football team", "Nippon Professional Baseball Organization (NPB)", "J-League", "K-1", "Japan Sumo Association" and "JGTO Japan Golf Organization", etc. at Konami Digital Entertainment. Involved in planning and production, utilizing the media mix as a producer, card games, toy and video game. 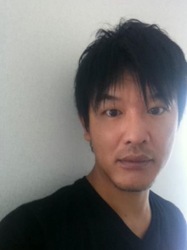 His primary work includes "Gurren Lagann TV series," "Berserk card game", "Mar the arm battle ," Negima" "Winning Eleven 6". He participated in the establishment of Lucent Pictures Entertainment in October 2007, and served as producer of the movie trilogy Berserk Golden Age Arc.